I did some new tests now that i connected the raspi 3.3v to the board. Also i changed the input voltage from both the ADS1115 (ADC chip) from 5v to 3.3v and for the 5 IR Led phototransistors also. I have 3 IRL7833 mosfets. They are not connected to a GPIO right now, but i still tried to measure between those pins and ground. They measure -0.05v. Is that a problem? It's not much negative voltage, but i read somewhere that negative voltages are bad? The 5v line is still 4.5v. Even though, when i measure at the 5v step-down converter, the power is 4.98v. Could this be just because of the old Raspberry PI 1 B i'm testing this with? Or could there be another problem? I tried to measure current between Raspi 3.3v -> board 3.3v: With everything connected it measured 0.05 on the "200m" setting. Is that 0.05A? That's not too high right? Also i measured the power between 5v + on the 5v Step-down to the 5v pin on the usb connector. While booting it measured around 0.5-0.55 on "20m" . This dropped down to about 0.42 when booted. I have to note that not everything is connected at this point, so when in action, it could be more, but then again, this is measured with a RasPI B1, while i have a RasPI Zero ready to use, which should be more energy-efficient. So, the current ratings seem ok to me, right? I'm just checking some stuff with you guys because i don't have enough experience myself to be really confident about all of this. Also, i don't wanna blow up another RasPI here... So better safe then sorry. looking at the currents drawn if you were on the 200mA range then 0.05 is 0.05mA or 0.00005A which is fine, but your 5v looks odd if you were in fact on the 20ma range ? I would have expected a load of 0.5A on the 5v which is what you figures show are you sure you were not on the 10A range, which would make sense of your figures. I would still not be happy with the 5v rail being under 5v if you were using a pi2 or pi3 I bet the red LED would be going out indicating low volts, you might be better using the other dc-dc converter you have as you suggested in one of your posts, as low voltages on the 5v can lead to SD card corruption. with regards the negative voltage on the mosfets I dont know how to solve that one may be someone else can advise you on that. Well no idea, but i have a picture, hope that clarifies some things. it's on the "20m" state. Yeah, well maybe i'll have to re-measure it when i plugged in my new Raspi Zero... If that one also gives 4.5v, i'll try another dc converter. I should have tried measuring the voltage on the old Pi with a seperate usb power supply... oh well.. When the probe is plugged into the 10A socket only the 10A range will give a meaningful reading. For the other ranges to work it needs to be plugged into the VmA socket. (some meters have a separate socket for the mA range as well). Test on the 10A range first and only try on the other ranges if it reads less than 0.2A otherwise you can blow the fuse in the meter (if it has one) or damage the meter. Donno if everything still works as expected, but at least it should protect everything. I tried connecting a Raspi B1 (but it has 26 gpio instead of 40 pins) and that worked. So its a partial succes for now. Tomorrow i'll connect my new Raspi Zero and prey it won't die on me for a reason that i just didnt see until now..
And next to that. I measured the 5v gpio output. First with the 5v DC Step-down converter. it was still 4.6v. Kinda low. How is that possible. It seems my 5v step down is crap. Maybe replace it for a LM2596 variable voltage step-down board i have laying here? Anyone have any experience with that one? Thanks for all the advice so far Tips are welcome. I use the LM2596 variable voltage step-down DC-DC converter when ever I need to power a pi from a battery or some power source with a voltage higher than 5V. if you have another one of the ones already on PCB then that will work just fine, got an original pi B and a pi2 running off them without any problems. just remember to set the voltage to 5v before connecting to the pi. normally set mine to 5.1- 5.2V no load. but that's with a calibrated meter so you might be better aiming for 5.1V just to be safe. I'll post my results, i'll pray my pi Zero won't die on me! So, i soldered it on there, and Yay! The pi lived trough it. It's working nicely, so i hope it's gonna stay that way. Gonna have to put a bit of hotglue on the potmeter for the voltage though... if i accidentaly twist it, pi = dead! I have it powered via the GPIO now, so no seperate usb connector or something, everything is working via the GPIO, also power. Just put a bit of coloured tape over the pot covering the top completely, much easier to remove should you need to later and it will still prevent you from making silly adjustments. I'll do that, good tip! Im trying to build on now that my GPIO pins are protected. But... I got a good scare today when i saw some magical smoke coming from somewhere. don't know exactly where from though. (I should record every time i plug it in to prevent this... ). So, the strange thing is, i saw the smoke and plugged everything out. Then i reversed what i changed and plugged it back in, everything seems to be still working! Strange! Well, it seems that that made some magical smoke come out of somewhere. So afterwards i disconnected the pull-up resistor, and everything still seems to work. can anyone advice me please? If you had the resistor connected to3.3v at one end and the photo resistor connected to the other end and it's other lead connected to ground you should not have had a problem as even if the photo resistor was a dead short the 10k resistor would have limited the current to 0.3mA. Done all the time as it's how you do pull up resistors on switches. Check you had the right resistor value and it's how you actually connected it. Right. So, apparently i busted my L9110S H-Bridge component which drives both motors. Today a replacement arrived which i soldered on and i'm trying to prevent this from blowing up again, and i have a theory. If you look at my board, it's on the right side, named "H-Bridge Motors". It gets it power from the step-down power supply on the left side of the board. It's outputting 10v to it. The other pins are connected to the GPIO on the raspberry, with a 1K resistor per pin. When i power everything, it's working fine. I can control the motors and it's working. But, i have a mosfet between the ground of the step-down converter (not visible on the drawing). This mosfet is controlled via the raspberry pi to switch the ground lead on the step-down converter to switch it off when not used to save power. Ok, long story short. When the mosfet (gate wire to the pi) is not connected, the led on the step-down and the led on the L9110S light op very dim, about 50% strength. Previous times, this was the moment when smoke would appear from the L9110s. When i short the mosfet (so ground is always connected), it works fine. My question is, why does it die when ground is not (properly) connected? I don't understand! I assume that, according to what you wrote, the MOSFET switching the H-bridge is different to the one shown "controlling" the 10V-out 2-pin connector. HOWEVER: I think that the MOSFET shown has source and drain either wrongly labelled or actually reversed. Bad move. More seriously, it is bad practise to switch the ground line. As drgeoff says, that leaves the H-bridge supply voltage connected to its input pins and possibly tha motor outputs. Plenty of scope for smoke escape, not only from the H-bridge itself. If you must switch the power, it must be done on the non-ground side (or both wires). Either use a mechanical relay or a circuit designed for high-side switching. Putting a switch in the ground supply to only part of a setup is generally a bad idea. In your case that switch is also in the ground of the H-bridge. What happens depends a lot on the exact design of the step-down. It is possible that when the MOSFET is off, all or most of the +ve input voltage to the step-down appears on the +ve and ground pins of the step-down. Thence to the H-Bridge and thereby the RPi GPIOs exposed to higher voltages than they can tolerate. This would have been more readily apparent if you had given circuit diagram instead of the board layout/tracking. Even after several edits I wasn't happy with that one so I deleted it and started again. The gist is still the same. Ok, so switching on the ground is a bad idea? I read that with a Mosfet you always have to swith the ground pin, not the plus wire. I thought it made sense, otherwise where is the ground wire for the gate? So, a relay would be my best option also, only problem is that i don't have the space available to use that, that's why i came up with a mosfet. it's small. Is there maybe another option that is also small? EDIT: So you say i wired my mosfet which is visible on the board wrong? Source goes to ground right? geerttttt wrote: Ok, so switching on the ground is a bad idea? I read that with a Mosfet you always have to swith the ground pin, not the plus wire. I thought it made sense, otherwise where is the ground wire for the gate? Check out the P-channel mosfet switch circuit here (some way down the page). Use an NPN bipolar transistor to drive it, with a high value resistor between G and S to hold it off. geerttttt wrote: EDIT: So you say i wired my mosfet which is visible on the board wrong? Source goes to ground right? My mistake, with N channel your board is correct. Ok will do. But then i have another question. I'm using the IRL7833. 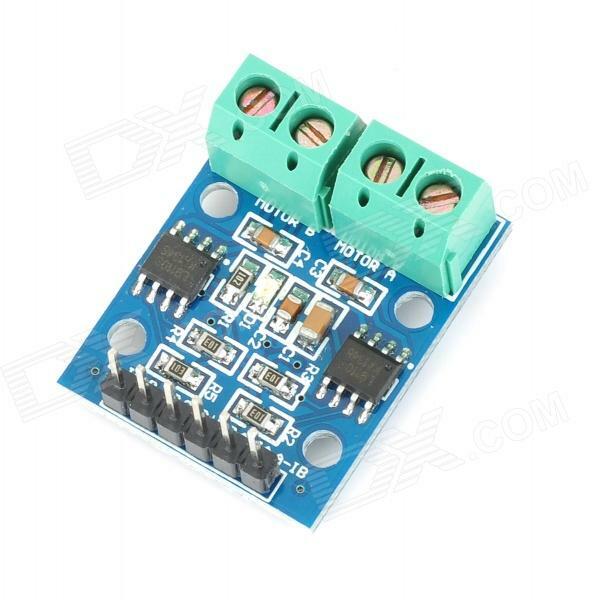 It's a switchable N-channel with 3.3v gate voltage. For my vacuum motor i also want to use a mosfet to switch. Right now my plan is to do this: 16v battery input -> IRL7833 MOSFET (Switching ground wire) -> Step down module to 14v -> Vacuum motor. Is that OK to do? Or will that give problems or hazards as well? As long as you switch the ground to both the step down and the motor, AND the only other connection is the positive supply, you should be OK. 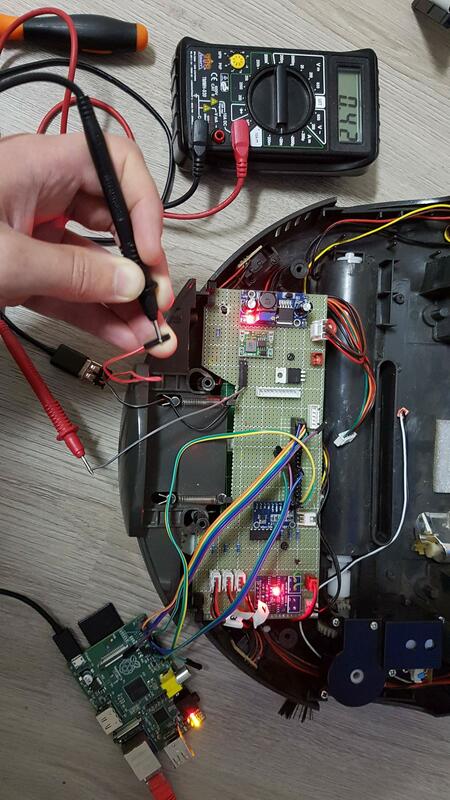 If there are any control or sensor connections running from the switched supply, they may feed back an unregulated 16V (aka Pi killer). If it were my project, I would prefer to switch the 16V line, it's more idiot-proof and I can be quite an idiot at times.